A visit to the monkey temple to greet our relatives is especially recommended for children. You'll find the Monkey temple between Ban Phe and Mae Phim. At the monkey temple in Ban Phe hundreds of monkeys are just waiting for YOU to come up with something yummi! 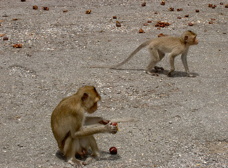 Travelling to monkey temple goes equally well with a moped, sareng or if you book a taxi. 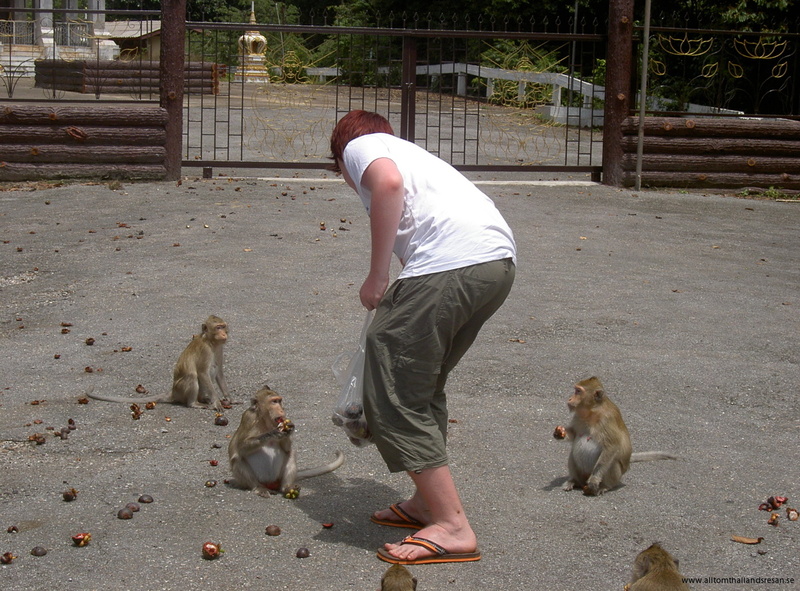 It takes approximately 15 minutes from Mae Phim to the monkey temple. Be very careful with your belongings like keys and other belongings that can be taken off. 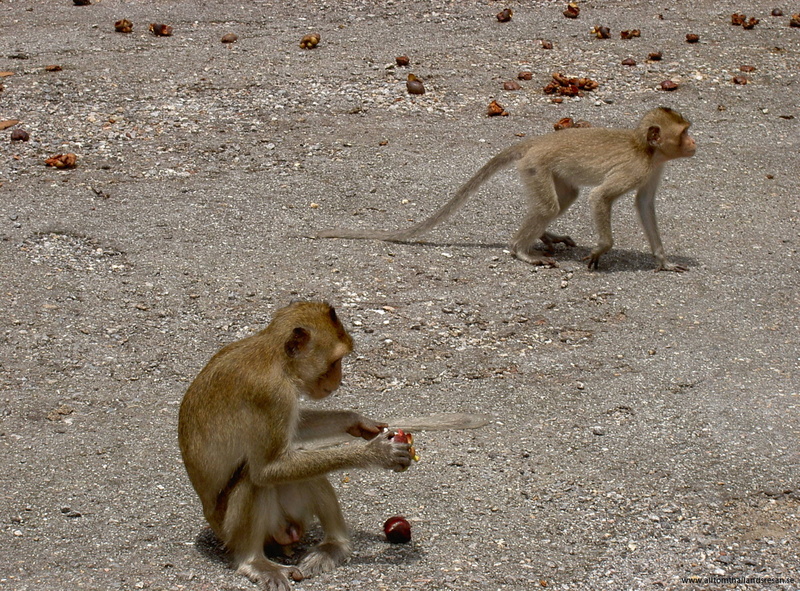 When you go to the Monkey Temple, bring something for the monkeys to eat. They eat bananas and clementines.